The group offers caregivers an opportunity to share their experiences, help others by sharing their ideas, find out about resources and information that might be helpful. Meetings are friendly and informal. Occasionally there are themes and guest speakers.Membership in the Senior Center is not required. Please contact Jill if you are interested in attending. The support group meetings are a chance for everyone to share their experiences and express concerns. It also gives a chance to share ideas that have worked for other caregivers going through the same experience. Meetings are informal. 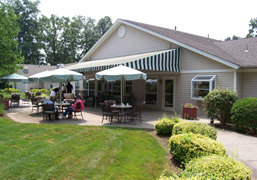 You are welcome to bring your loved one with FTD, Arden Courts will provide respite care in a separate room. Please just let us know in advance if your loved one will attend. An independent, online, peer support group committed exclusively to the spouses of those diagnosed with frontotemporal degeneration and early-onset dementias. Go to FTD Spouse Caregiver Support Yahoo Group to register. As we approach Christmas and New Year’s, I’m reposting these tips from the AFTD, the Alzheimer’s Association and Caregiver Magazine. With some planning and adjusted expectations, celebrations can still be happy, memorable occasions. Thinking about year end giving? There are two opportunities to support FTD research, caregivers and people living with FTD. A new FTD Caregiver Support Group is being formed in Fairfield County in 2016. Anyone who is interested in participating should contact me via email.